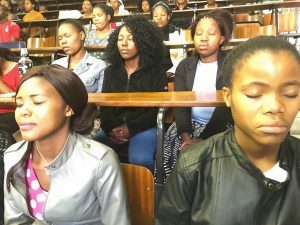 1000 People meditating in Lesotho – Africa. Lesotho is one of the most beautiful countries in Africa. They call it the mountain kingdom. It does not matter your position in Lesotho, you will always see a mountain. Lesotho is one of the few countries in Africa where it snows. It does around June and July. Other than the beautiful nature, Lesotho is experiencing political instability with some of its opposition leaders exiled to South Africa. Just like any other country in the world, Sesutu population desire peace. They have found themselves in a world with too much distraction. Most have been sidetracked by secondary activities forgetting the main purpose of life, peace, and happiness. 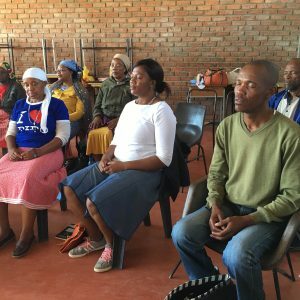 Thapelo Maja, a peace rebel, has a mission to share with her community the path to inner peace and happiness. 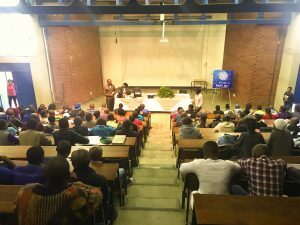 She decides to collaborate with Judith Raselemene to organize a mini PIPO in Lesotho. 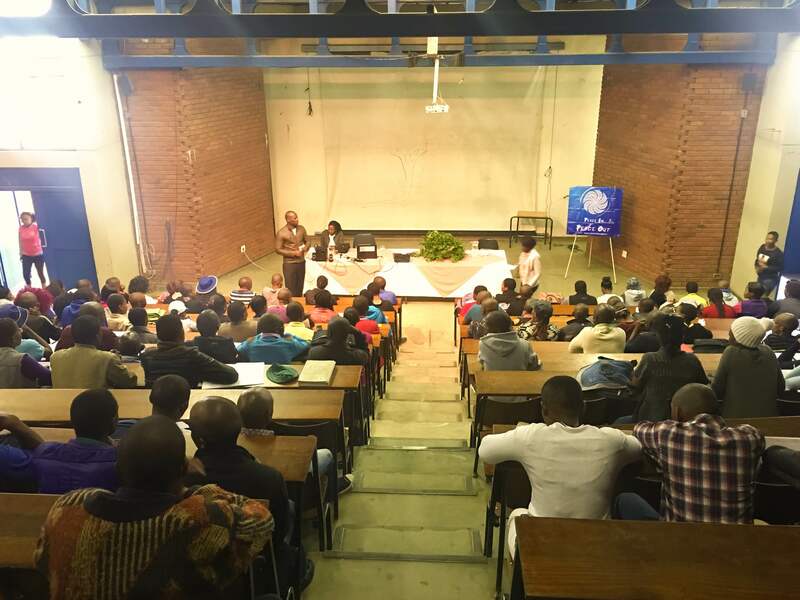 Having created a rapport with her lectures, Thapelo identifies her school as the ideal place to hold the workshops. Interestingly enough she is able to gun the support of the administration, college director included. Two days are set aside for the training and all university students and lecturers invited to attend. Indeed, mini PIPO in Lesotho was the best bet and every activity was in apple-pie order. Previous PostPrevious Retour vers soi, une voie de la liberté.